that tells what kind of life you have lived. This next Mini Vacations original, “Flammola (Pansy)”, has been made for a special person’s birthday, someone who’s scattered lots of encouragement and support my way. 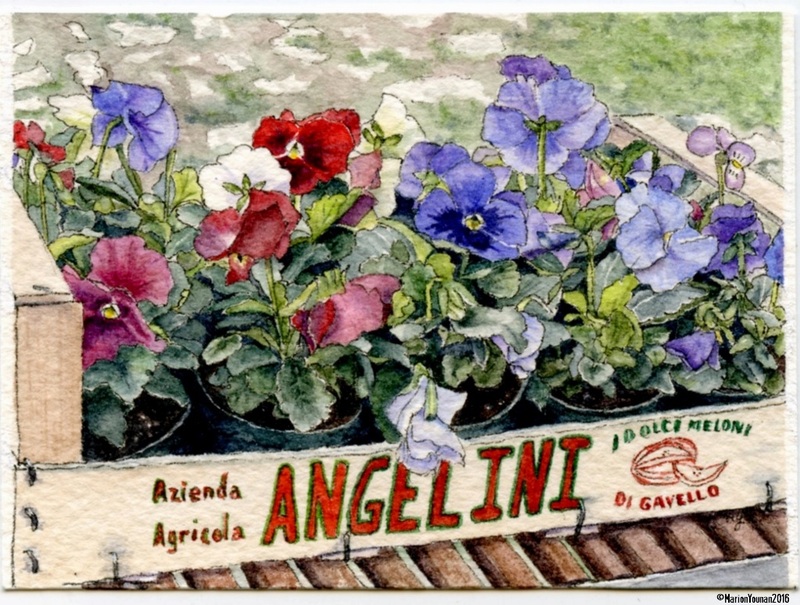 Pansies are called “flammola” in Italian, or “little flames”, and I didn’t know that until the painting was done. But how perfectly appropriate a flower to be the star of her piece! With each email or conversation about art, she has always ignited a little flame for me! Your pansies are beautiful! Perfect for this time of year. Hi, Arja: Thanks! Yes, I think this recent warm weather has got me in a planting frame of mind! Rustic elegance. Lovely art work.